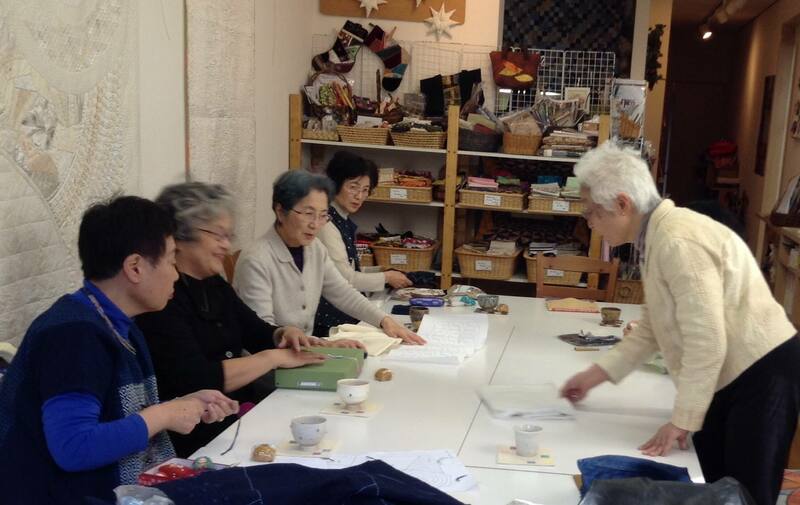 The first class of Yoshiura sensei's sashiko. Each student showed and told each project to each other and got advise from Yoshiura sensei. 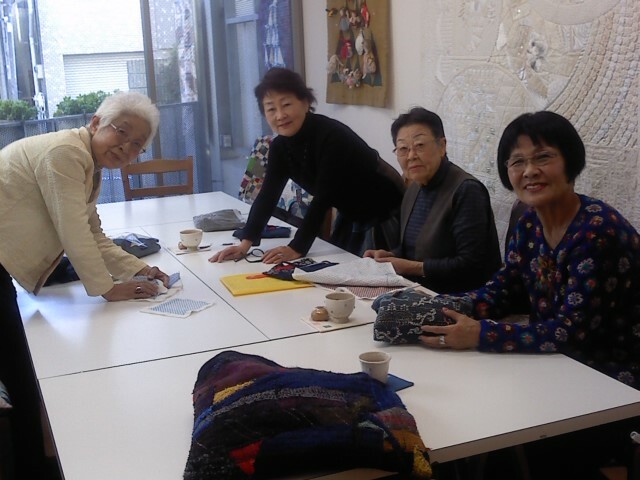 Sashiko class by Yoshiura sensei is held at 10:30am and 1:30pm on the second Thursday of every month. Make a reservation for a trial or observation.